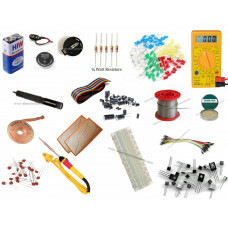 Complete kit for getting started and a must have electronics items / components for hobbyist. This electronic kit contains 864 parts, including soldering needs & breadboard. Its a free shipping package. Group of 60 types of Resistors - 1/4 Watts (each pack of 10) in one package.